Target 2 or more "Geargiano" monsters with different names in your Graveyard; Special Summon them. 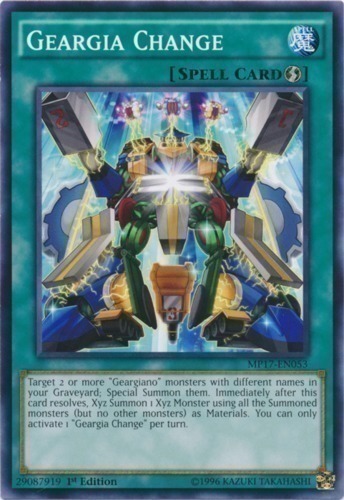 Immediately after this card resolves, Xyz Summon 1 Xyz Monster using all the Summoned monsters (but no other monsters) as Materials. You can only activate 1 "Geargia Change" per turn.